Between unclear task workflows and incohesive priorities, your team (as far as you know) is working in opposite directions. The amount of time spent corralling details or revising mistakes means later nights and looming fire drills. You see your entire marketing schedule at a glance allowing your team to collaborate cross-functionally. No more desk drop-bys. No more fire drills 🙅. 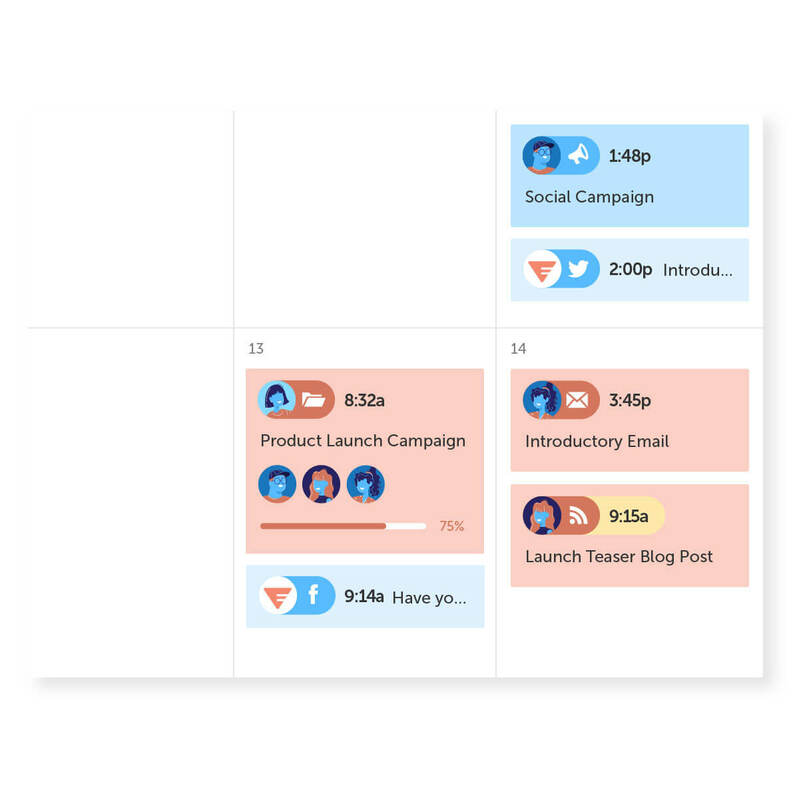 Visually plan out ALL of your team’s projects weeks, or even months, in advance. 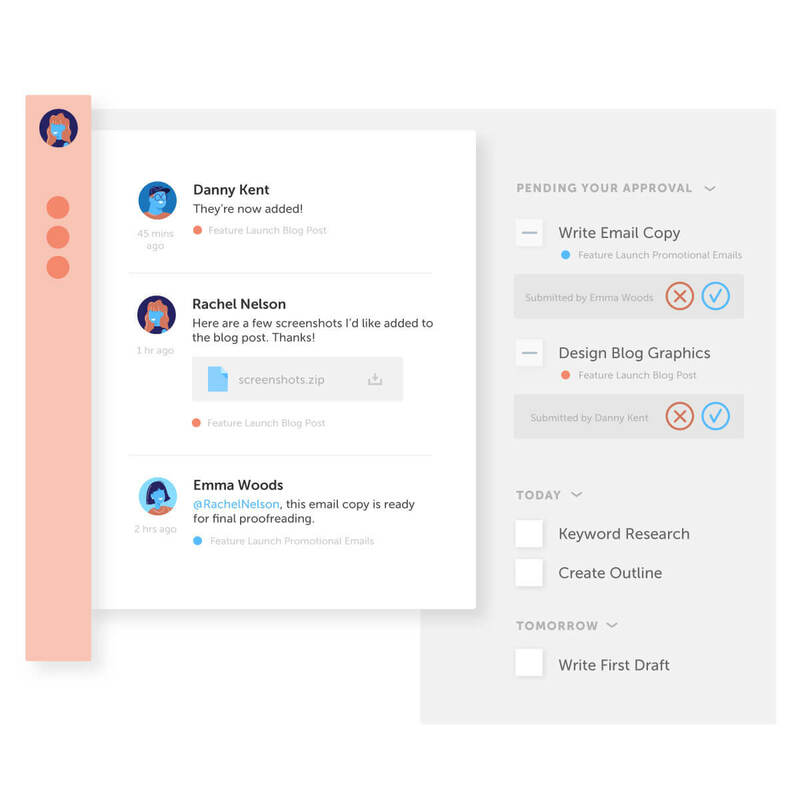 Assign tasks, deadlines + approvals to ALL the various members of your team. Track team progress, submit task approvals + ensure deadlines are met. 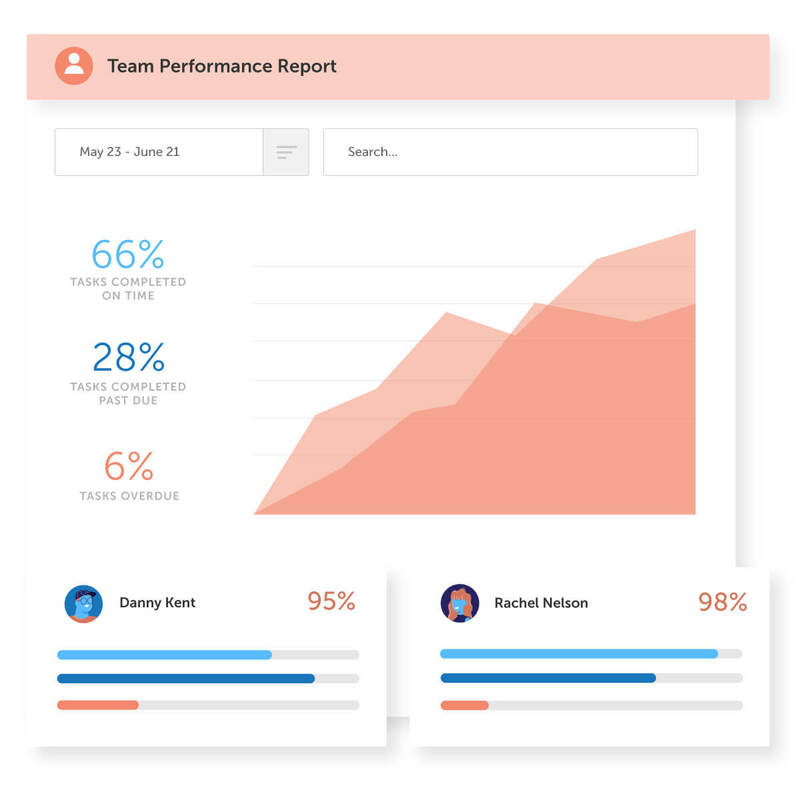 CoSchedule allows teams to hold everyone accountable. Social, content, design, email, or digital operating within a single, visual place. 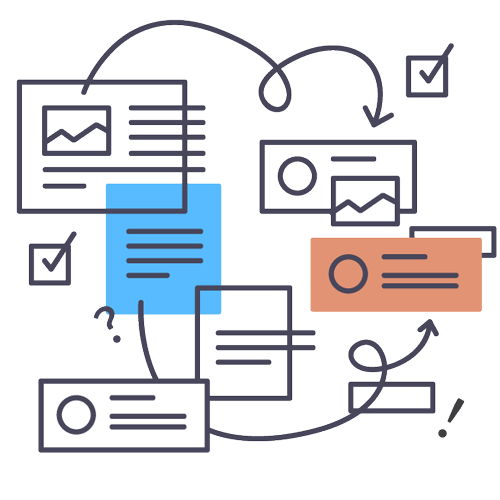 Your team is perfectly positioned to ensure nothing slips through the cracks with an all-encompassing workflow, clear due dates, and assigned tasks (with associated approvals). 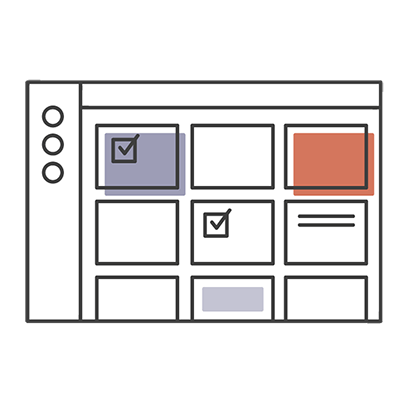 Team + Individual Performance Reports show who is consistently meeting their deadlines (or who isn’t), allowing you to adjust workflows accordingly. 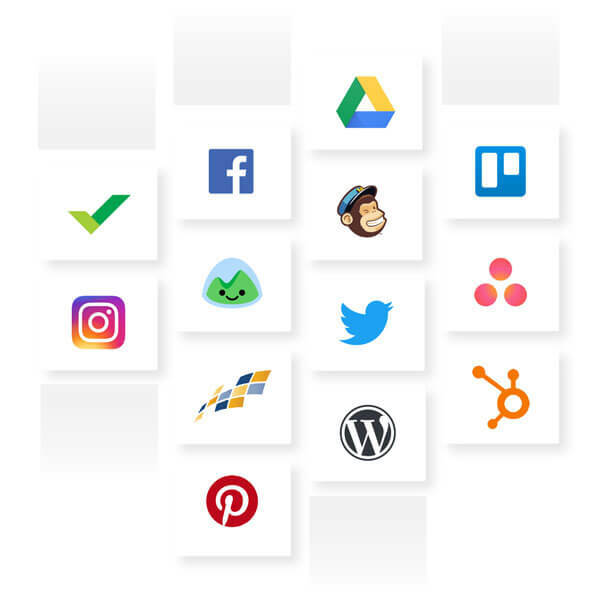 Seamlessly connect your marketing team’s favorite workflow tools and maintain a birds’ eye view of everything you knock out.